Back in 1997 I set out to capture images along route 66 from California to New Mexico. 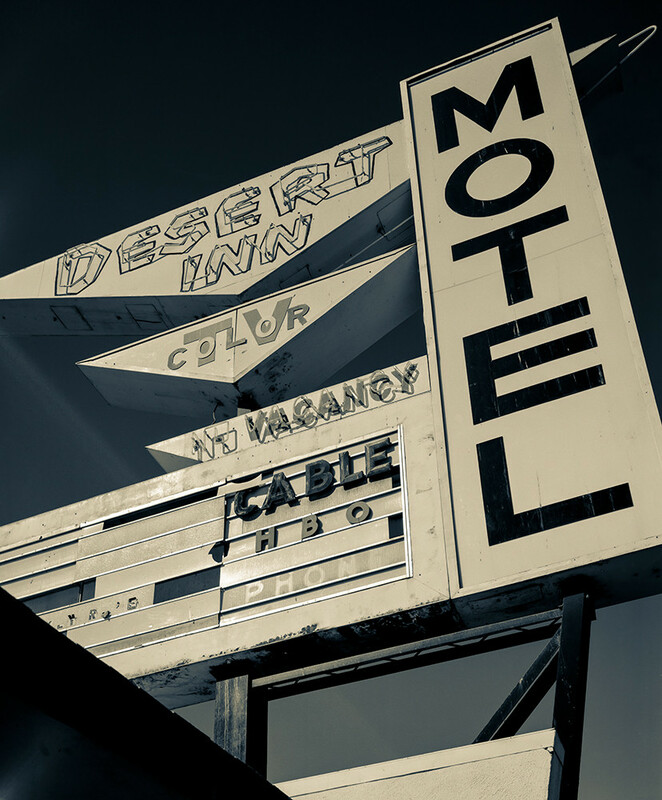 This is one of my favorite images from the project that was taken in Needles California. I just went back to Needles a couple of weeks ago to shoot more, but this sign and many of the others are now gone. I’m lucky to have captured some of the old vintage signs and locations before they disappeared forever. This shot was done with a Sinar F1 4×5 view camera and a Schneider 150mm lens.